Throughout the majority of the webpages we just spot the material spreads from edge to edge in size with a handy site navigation bar above and simply immediately becomes resized as soon as the determined viewport is hit so more or less the showcased information fluently uses the whole entire width of the webpage provided. 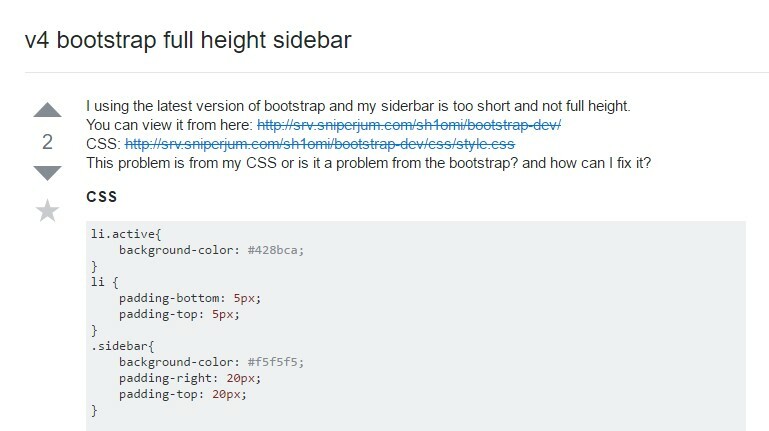 But at a certain instances the aimed objective the webpages need to work in require together with the fluently resizing material section a different area of the available display width to get assigned to a still vertical feature along with several web links and material inside it-- in other words-- the widely known from the past Bootstrap Sidebar Toggle is required. 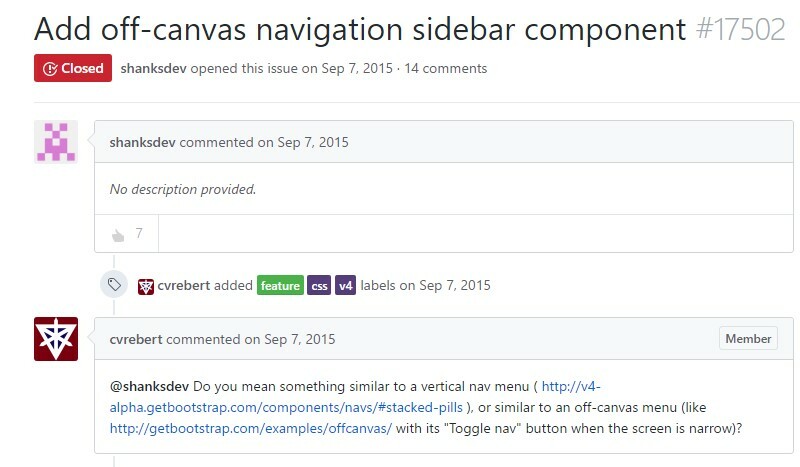 This is rather old approach but in case you certainly want to-- you can easily set up a sidebar component with the Bootstrap 4 system which in turn along with its own flexible grid system also provide a few classes intendeded especially for establishing a secondary level navigating menus being docked throughout the webpage. But let us start it easy-- with simply nesting some columns and rows -- It is supposed this could be the best approach. And by nesting I indicate you can surely gave a .row element positioned inside a column one-- it basically operates the similar technique except for the available columns in a single line limitation-- in case you nest a row within a column you can easily have up to the column's width reaching inner columns within it just before they wrap to a new line. First and foremost we require a container component to possess the columns and rows and due to the fact that we are definitely developing something a bit more challenging the .container-fluid class could be the ideal one to delegate it to-- by doing this it will always spread over the entire visible width accessible. Next we need a .row to cover the primary structure into which in our situation would certainly be a large column for the content and a smaller-- for the sidebar-- let's say we'll separate the width in 9 by 3 columns in width. Therefore the primary column element really should hold .col-md-9 and the 2nd one - .col-md-3 class utilized. Next inside these kinds of columns we can easily just generate some additional .row elements and pack them up up with a number of material generating originally the major web page and after it-- the contents of the sidebar just like two smaller sized pages laid out side by side. 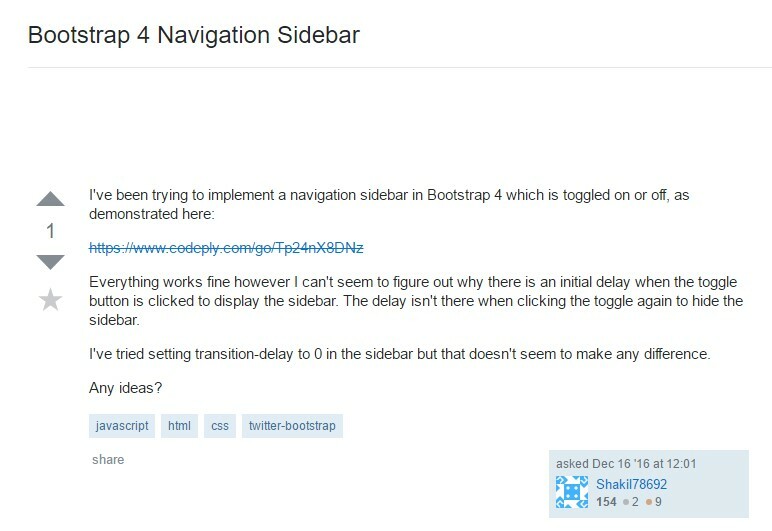 Additionally in case you need to create a sidebar navigation menu along with the desired .col-* class you can assign it the .sidebar class and wrap the page’s main content into a <main> element applying it the rest width with a .col-* class and appropriate offset equal to the sidebar’s width to make the nicely display side by side. Additionally in the event you have to produce a sidebar navigation menu along with the needed .col-* class you can easily delegate it the .sidebarclass and wrap the page's leading content into a <main> element utilizing it the rest width using a .col-* class and correct offset identical to the sidebar's width to get the nicely feature side by side.